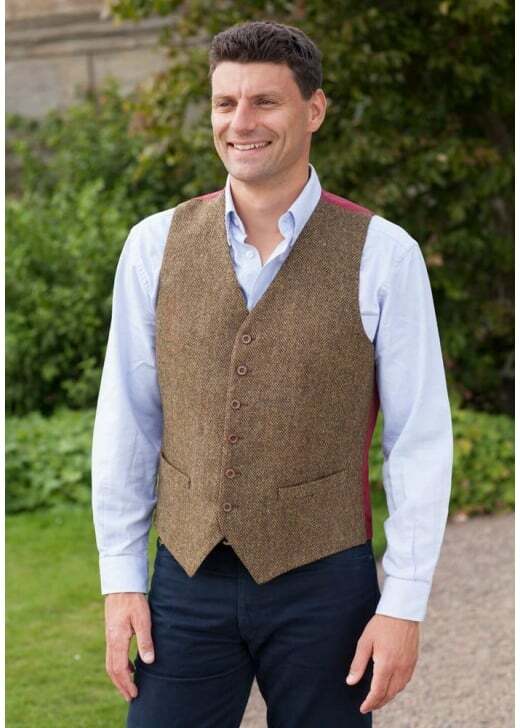 Magee's Donegal Tweed Waistcoat is a beautifully made men's waistcoat inspired by outdoor sporting activities. Magee's Donegal Tweed Waistcoat is a beautifully made men's waistcoat inspired by outdoor sporting activities. Designed for comfort and practicality, this waistcoat is crafted with of pure lambswool, resulting in a lightweight, washable tweed fabric. Perfect for both the country and the city.